The Find Your Greatness event delves into the four life-giving spiritual habits of engaged Catholics. 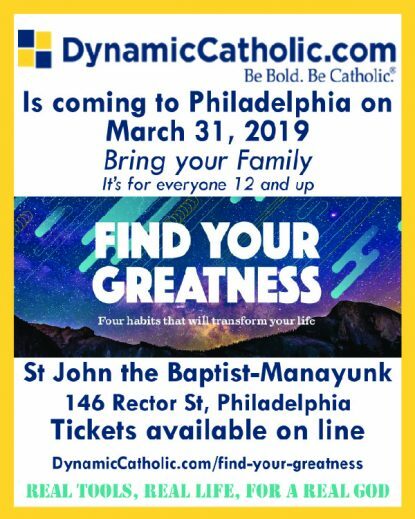 Join us at Saint John the Baptist Catholic Church on March 31st for this event and discover how to master the four signs of a Dynamic Catholic in your life. You will also learn how to help your parish apply the four habits in order to engage disengaged Catholics and re-energize your community. Tickets can be purchased through the parish for $25. The ticket includes admission to the event as well as a bag full of great resources from the Dynamic Catholic Institute on the day of the event!